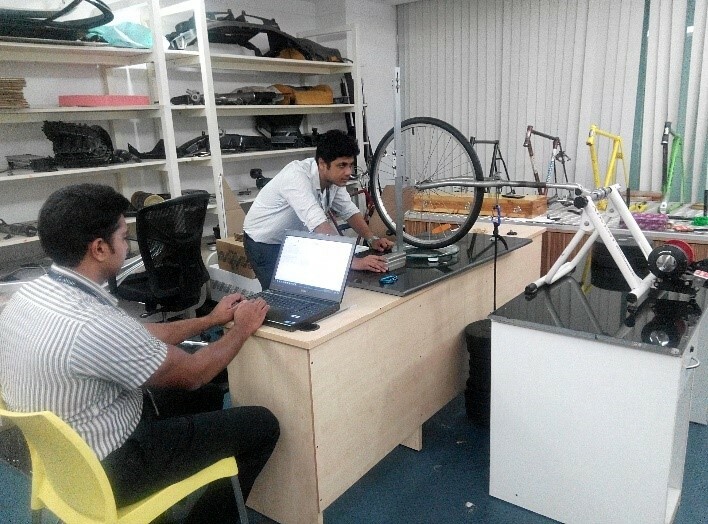 We are passionate bicycle enthusiasts at Altair – India. 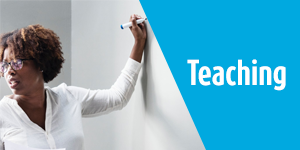 During our coffee breaks and after hours you can find us in our Tinker Lab where we study many aspects of bicycle behavior such as handling on various road conditions. Things have been pretty exciting at the lab lately, because we have been creating a test machine for bicycle tires! How important is a tire? Tires play a crucial role in vehicle design, whether it be for bikes, cars, trucks or aircrafts. 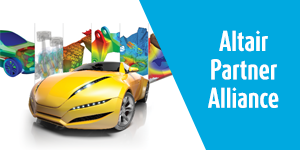 Vehicle dynamics engineers agree that vehicles are built around tires. After all, what is the point of having a powerful engine, smart technology or a beautiful body design if the tire cannot generate enough friction to hold the vehicle to the road or handle corners nicely? 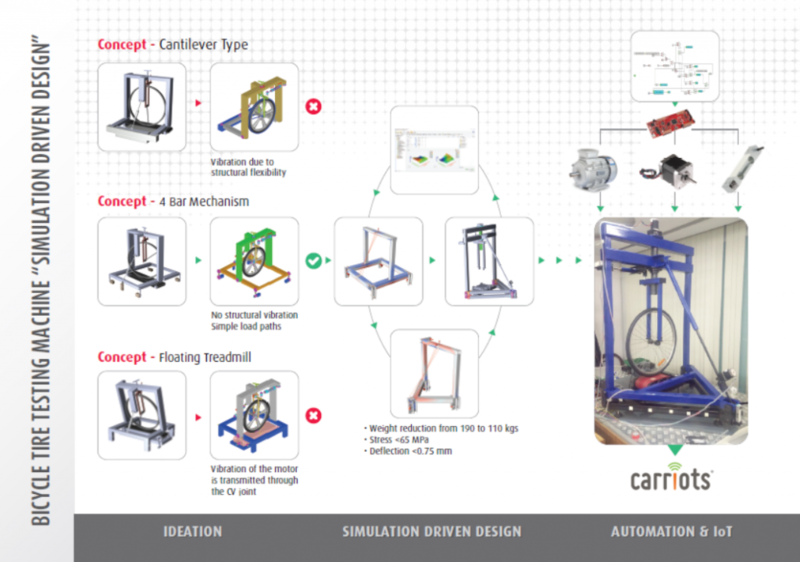 Assessing vehicle handling was what we had in mind when we began to create our test machine. To evaluate handling, we knew we had to create a machine that could measure properties such as vertical stiffness, camber stiffness, and slip stiffness. We also challenged ourselves to create this machine from initial idea to completion without creating a prototype – could our software take the place of this typical expense? One of the most important aspects of this test machine is the ability to realistically measure the tire properties. It must be vibration free and the load paths must be non-convoluted. 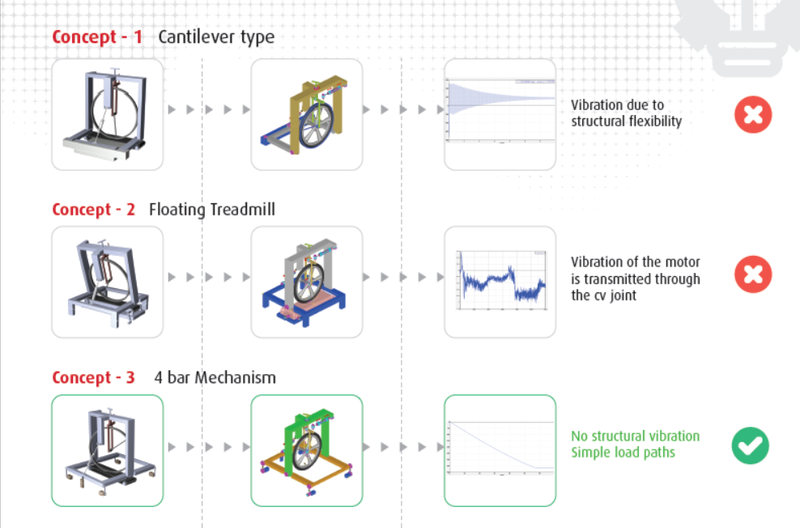 For assessing these requirements, we imported the CAD into MotionView® / MotionSolve® and ran a battery of tests to determine the correct load path and vibration-free sensor locations. We confirmed our findings with 900 multi-body simulations, 750 load paths, and 1500 Plots. A quick automation on HyperGraph® and HyperView® helped us to reduce the lead time for reporting. 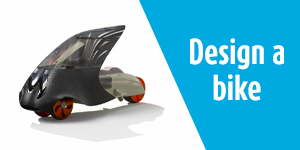 We used HyperStudy® and solidThinking Inspire® to obtain the optimized section for the given load envelope of the machine. 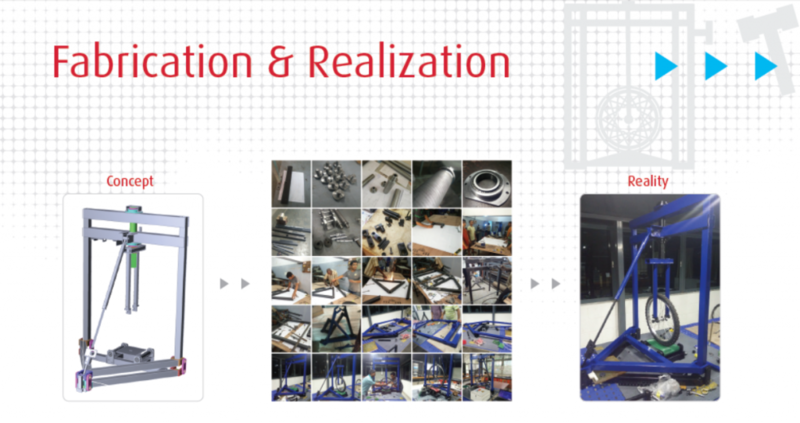 We were able to eliminate 80 kg of metal from the baseline design and got the test machine weight to below 110 Kg. 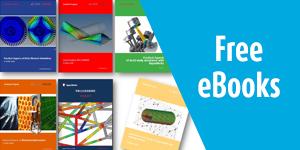 Detailed modelling and transient analysis of the optimized modeling was done using HyperMesh® and OptiStruct®. This computational intensive model was solved remotely in 30 minutes using Altair PBS Works, if not for the workload management system we would have spent 24-36 hours solving the complex equations. With detailed analysis results confirming that our design was safe with stresses below 75 MPa and deflections below 0.75 mm, we proceeded with the fabrication of the structure. A test rig automation involves multiple actuators, sensors, and controllers to achieve desired motion and response values. 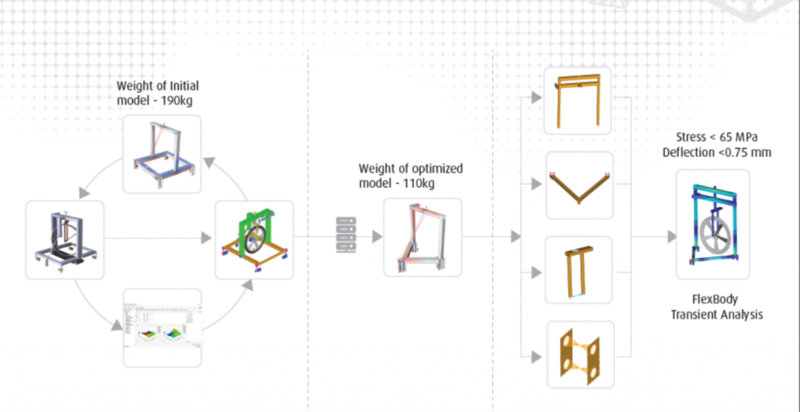 These tasks were made simple by using solidThinking Embed® and Activate®. The predefined set of blocks in Activate enabled us to achieve complex PID control with zero lines of code. 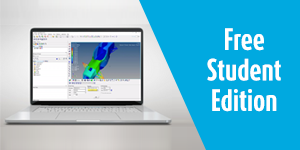 The acquired sensor data was then processed using solidThinking Compose™ to remove anomalies and derive the three stiffness values we were looking for, including vertical stiffness, camber stiffness, and slip stiffness. This data was then seamlessly rendered and analyzed via our IoT platform, Carriots Analytics™. Airbag Simulation Setup in RADIOSS.